I don’t know why it took me this long to post a review, for that I apologize, THIS IS ONE AWESOME SAUCE!!! Not too salty. I did one where I simmered with scallions and ramen noodles and the second time was Udon Noodles. I was surprised how much the noodles retain the taste of the broth. Definitely better than anything Nissen offers! Good quality broth I had tasted in a while! What I like about it is that it isn’t to salty. It’s also GMO free which is a plus! I used this with my shirataki noodles. it’s ok but it could be better. price and convenice wise is excellent. i would like it to have more quality. not very flavorful. its easy, quick and hassle free, that is a plus. 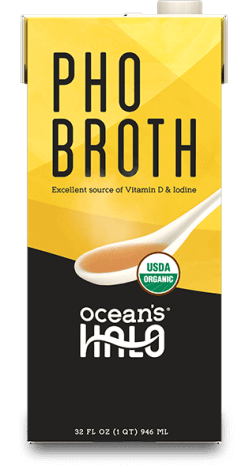 I would totally purchase the broth again and recommend it to family and friends. We finally found it at Walmart in Carencro. I made shrimp noodles with the broth and it was delicious my family enjoyed it. What I like most is it tastes different and stands out from other broths I’ve purchased in the past. The broth was great. Nice light flavor and not overly salted. I made mine with soba noodles and again with rice noodles. They soaked up the flavor well and even the kids loved them. Would buy again. This Ramen broth had a smooth taste to it. I cooked some rice noodles in it. Made a veggie stir fry with the noodles. It gave the noodles a great taste. Love the ramen both with my fellow rice and boil chicken for dinner and again with lunch the next day as a both the taste was on point very smooth. I really loved the packaging, stood out for them others and when I used it it boiled good and tasted good, other products I’ve used in these packages taste like cardboard but this one didn’t and had a fresh taste. Will def be trying again in the future for soups! Was really easy to use when making soup. I like the texture and the taste. Made the flavor to my Asian soup seem more authentic. Will definitely buy again. 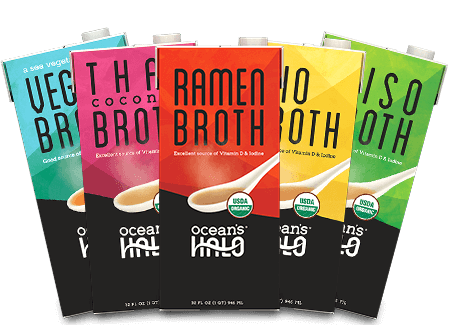 Ocean’s Halo Ramen Broth is a Japanese flavor inspired broth that contains sustainably ocean-farmed kelp, in addition to being USDA organic and Non-GMO. We’ve all had the classic instant ramen, so I want to make clear that this broth is not even in the same realm. This product provides a much more authentic Japanese ramen experience and can even be used to make other dishes. We made it into a noodle bowl dish, using Simply Asia Japanese Style ramen noodles with fresh carrots and the added protein of chicken. However, you can be creative and add whatever you want to your dish; on the back of the box they even suggest traditional ingredients like seaweed sheets, bamboo shoots, boiled egg, roasted pork, sliced scallions and roasted vegetables. I personally don’t eat a lot of Japanese style foods, however I occasionally have sushi, so the seafood taste from the kelp was delicious to me. On the other hand, my boyfriend really dislikes anything with a seafood taste. The flavor was rich, and it had a thick, creamy texture, making it a hearty meal for dinner. The only downside was the amount of sodium in the broth that I found a bit overwhelming, perhaps because we don’t eat a lot of salty foods. I was feeling adventurous, so along with trying the Ramen Broth I picked up Ocean’s Halo Miso Broth. This broth was thinner in consistency and had a little too much salt, however it was delicious and tasted like subdued ramen broth, with a lighter taste. My family can be picky eaters at times. They enjoyed the taste and asked for more. I also like it is organic and free if GMO’s. I have autoimmune illnesse and I have to be careful what I eat. This is a nice addition to my diet. I also like it is in easy package allowing you refrigerate it for later uses. I used the broth with hand cut noodles that I made. Threw in some ginger, garlic, bak Chou, carrots and let it simmer for a couple of minutes. The soup was outstanding with the ramen broth it made it so easy and saved me time as it would have taken me hours to make a traditional broth. It was light and refreshing. I usually don’t buy these things because they tend to be expensive but I would definitely spend the little extra to make this with my own noodles instead of instant ramen any day. I didn’t get my free Ramen Broth. 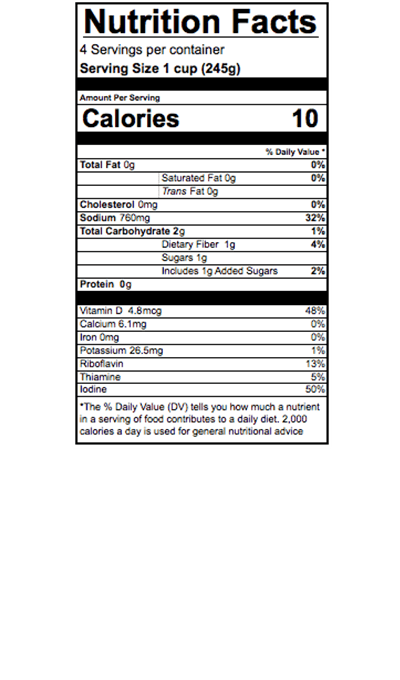 I read the ingrediants and the broth contains carrageenan which ia not healthy, so I did not try it. 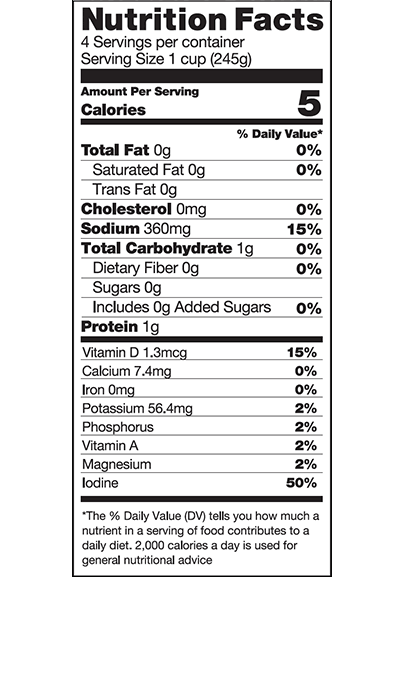 I won’t eat anything with carrageenan. Ocean’s Halo Ramen Broths fills my stomach. It is satisfying just by itself and mixing it with vegetable only makes it better. This is broth for the soul. I thought it was yummy! My husband liked it too! He’s a huge ramen fan but he buys those horrible ramen packs with high sodium & who knows what else is in it..I do wish this had lower sodium but at least its organic! I tried Ocean’s Halo Ramen Broth and it was amazing. It’s super easy to use and can’t wait to try the other different varieties. I prepared with some veggies, soba noodles and shrimp 😋 Delicious!!! This ramen broth tastes amazing! I made veggie soup with it and blend of flavors was on point! It totally enhanced the soup. This has become my new favorite broth to use now. 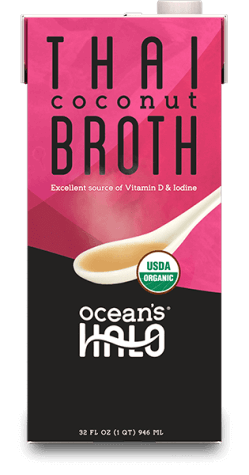 I really loved this broth by oceans halo. I made homemade pho with it and it turned out great! It had lots of flavor. I liked the convenience of this broth and how versatile it is. You can make any soup with it really. I will definitely buy again. This Ramen broth is amazing, it is so fresh and light. I am enjoying Ramen again for the first time in forever. Just added a few noodles and a lot of vegetables and had an incredible meal! I would definitely recommend that you try this Ramen broth! It taste good without having to worry about the sodium. It’s not as expensive as some of the other broths. The only problem is it is hard to find. I loved this product! It was healthy; and it tasted just that way! It was affordable and I would purchase this again and again! I hope that this product goes on to be a big success! It deserves it! I was not able to find this product in stores. I was not able to use my coupon to give a proper review. I would like to try this product in the future. 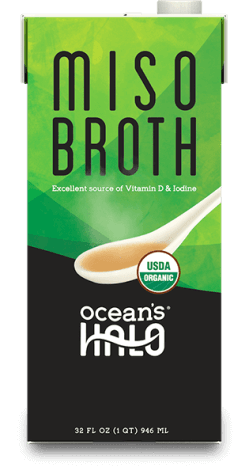 This line of broths is incredibly yummy and I find myself going to these, instead of veggie broth time and time again. I no longer eat meat and have had a difficult time finding products that are both flavorful and meat-free. Ocean’s Halo has found a way to incorporate ton’s of flavor while remaining Vegan. Tastes great! Great for all kinds of different soups. Easy to use, convenient and affordable. Several different flavors, my kids loved it! Thanks so much! I had a hard time finding this in Walmart, but I went back another day and asked where it was and found it. 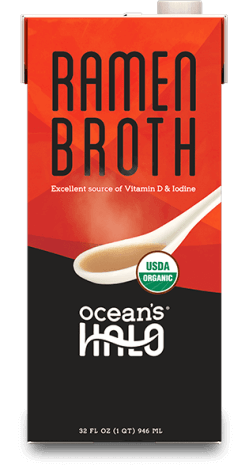 Ocean’s Halo Broth was great. I used it in my mixed vegetables when I steamed them, in my stewed chicken and gravy, and homemade cornbread dressing. I really couldn’t tell the difference between this brand and other brands of broth. If I would choose to buy broth, I would definitely buy this broth again. The only problem is the price is a little to high. The product is great. I really liked consuming and using this broth to make an amazing yummy noodle soup! The flavor is light yet robust enough to taste the distinction within a soup. Even my husband liked it and he is picky. I used the Ocean’s Halo Ramen Broth as the base for chicken soup that also had rice with fresh carrots, and celery. Everyone (my Mother In Law, Husband, two daughters) commented on how flavorful the broth of the soup was. I would definitely recommend this to others, and have already purchased some for my next soup night. Ramen Broth was ok. I’m not too big about making a homemade soup mostly because of the time it takes to prepare and cook. The soup came out good but wasn’t too impressed. I can not say enough about this broth , simply delicious. Had amazing flavor and can be used in some many ways. I added vegetables , shrimp, bbq pork and noodles. Tasted better than local restaurant. Would definitely buy again. I like that Ocean’s Halo Ramen Broth comes in a shelf stable carton, which reseals easily to store in fridge after opening. I used some in our stir fry in place of the vegetable broth I normally use. Even though there are lots of other seasonings in it, I could tell the difference in taste due to this being kelp based. But in the dish it tasted great. I haven’t had the chance yet to make a noodle bowl or anything like that with it, but I’m definitely going to. Our store was very limited (just one box on the shelf) but I’d like to try the miso broth, as my husband is a miso soup fan. This product comes conveniently in a box container and is shelf stable which I love! It was really tasty and Native for making my Asian noodle dish very simple. My husband and I loved making our own noodle bowls with the Ocean’s Halo Ramen Broth. We loved that we could purchase it at Walmart while doing other shopping. We added some fresh veggies and shredded chicken to our noodle bowls and they were so good! The Ramen broth by Oceans Halo was a very great additive for my stir fry’s, Chow Mein and Asian Inspired soups. The flavor is very subtle but delicious at the same time. Ocean’s Halo Ramen Broth is delicious. I just added to some veggies and noodles and it was a smooth tasty dinner. I would purchase again, but I don’t see anything special about the taste, just healthier.. This was a delicious base for an easy family dinner. I added noodles, veggies, and pork. Everyone ate it up and drank the leftover broth. Definitely a convenient and quick dinner. I ended up getting both products the Ramen Broth and Miso and me and my husband thought they were both so fantastic. The Miso with tofu and green onion added was super flavorful, some miso broth are just to light in flavor but this was good. The ramen broth was fantastic super umami without being overly salty. We added ginger teriyaki chicken meatballs, green onion, bean sprouts basically a ton of yummy fixings with some rice noddles and we went back for bowl after bowl. I love the taste of this broth I used it to cook some seafood gumbo. I would love to purchase this again in the future,but I don’t want to continue to use for different dishes. 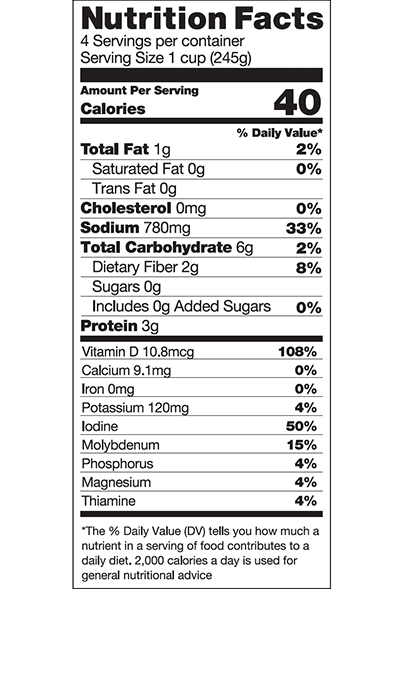 I like that Ocean’s Halo Ramen broth is made with clean, natural ingredients. While I didn’t care for the taste that the sea kelp lent to the broth, I’m sure that people who are used to consuming kelp would appreciate it. Taste was okay – I’m not a huge fan of ramen to begin with so maybe I’m a tad biased. Was easy to find in store and I like the packaging used. We love soups so this broth is great for us. Love the container and how easy it is to use. The flavor gives me some ideas of things to try with it. Very universal. I used this in a meal to make a sauce. From my understanding Ocean’s Halo is a seaweed company, that’s the other products I have purchased from them before. But this tastes strong of seaweed and it was a little off-putting for me but I like the concept of a vegan ramen broth. I know there is also a miso flavour and maybe some others but I would maybe like to try others but just not with the strong kelp taste as it is the first ingredient listed. I was pleasantly surprised with this broth! It was really good and I look forward to trying new recipes with other flavored broths. So good!! It is what you expect it to be. It’s a delicious base for additions or a soothing broth when your allergies flare up! This is delicious and light! I have already purchased this regularly. It’s a great help in building a quick, easy, delicious meal! Ocean’s Halo broth is made from seaweed, which is something I had never heard of before and, frankly, I did not know what to expect. 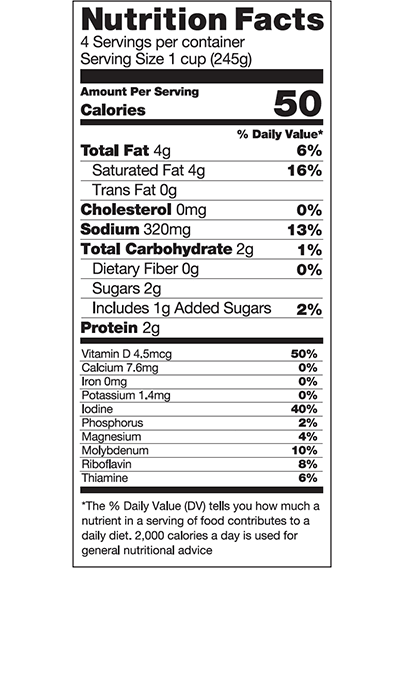 However, I wanted to give it a try, and I have heard of health benefits from plant-based foods. We used it to make a vegetable noodle soup. It was delicious. I could not tell the difference in the more traditional broths in regards to taste or texture. I would recommend and would buy again. I used this to make my own ramen. I really liked the convenience of the container. The flavor of the broth was rich and perfect for what I was making. I love it!!! Works perfect for making soup or adding a little moisture to chicken. I shared some with a friend because it was a lot in the container. She absolutely loved it as well.